The Spirit of Elijah Ministries mission is to build the Kingdom of God and the local church by equipping men and their families to be disciples of the Lord Jesus Christ. This mission is accomplished through speaking at men's, family, and couples' retreats, church conferences, homeschool conventions, as well as through audio and video resources and printed materials. Listen as Norm Wakefield explains how the purpose of this ministry is grounded in scripture - particularly Malachi 4:6 and Romans 1:16. What is the Father’s name? God? Righteous? Father? What did Jesus have in mind when He told His Father that He knew Him and had made His name known? 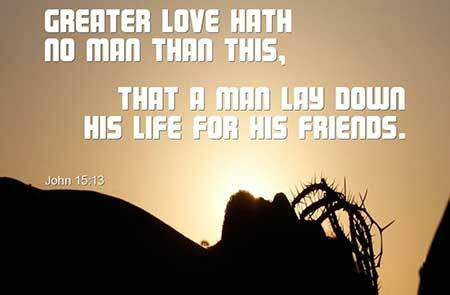 These last words of Jesus’ prayer are worthy of our contemplation for a number of reasons. "Three years ago at the Teach Them Diligently Conference in Omaha, NE my son and I met you. At that time his dad had just left us and was living a very immoral lifestyle. You gave us two resources: Teenagers 101 and Equipping Men. We have just finished those two and have been reaping rewards from the wisdom gleaned! We can not thank you enough! "I enjoyed listening to your talks at the CHAP convention. For me, you were the highlight and blessing of the entire weekend. I intended to get to other speakers but ended up skipping others to catch all of yours." "I just would like to say how Mr. Wakefield has changed my life. (We know it's the Lord who does the changing :-) I thoroughly enjoyed the message that you gave us at the FEAST conference on How to Build a Foundation of Faith. Thanks so much for your ministry." Listen to Norm's teaching from Colossians 1:15-20. This track is part of the Colossians Bible study series. 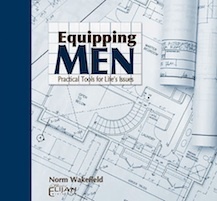 The new Equipping Men series is a vast improvement on what has already been a very helpful tool to many in its original form. The series now consists of 20 lessons; five new messages have been added and the lesson lengths have been shortened to make them more conducive for small group use in homes, Sunday Schools, or men's meetings and retreats. Are you prepared for a Category 4 or 5 trial? 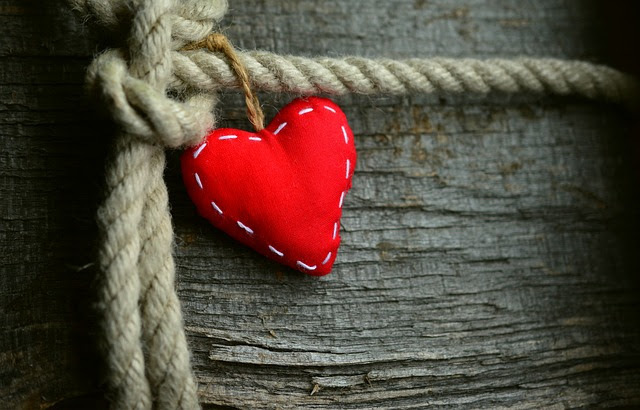 Is your theological and spiritual foundation solid enough that when you face daily trials or temptations, your faith keeps you anchored in peace? Being firmly anchored in biblical truth is vital to your witness for Christ and your ability to glorify God in life. When the emotional, spiritual, or physical "big one" could happen at any time, everyone needs to be prepared with an unshakable faith. How quickly can you be caught in a mire of unbelief or doubt? 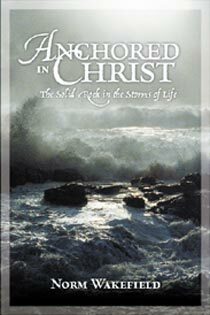 Can your faith stand the storms of life? What is your faith built on? The shaky sand of the world or the solid Word of God? The purpose of "Unshakable Faith" is to establish a firm foundation for your faith through twelve challenging messages.